This is an incredibly safe and soft electric blanket that provides you with a luxurious cuddling experience. The fabric feels refreshingly smooth on the skin and extremely comfortable. The internal mechanism of the electric blanket runs on low voltage technology and there is no compromise on warmth as well as with one’s safety. The heat distributes evenly right from your head to the toes. You will not observe any annoying cold or hot spots with his blanket. 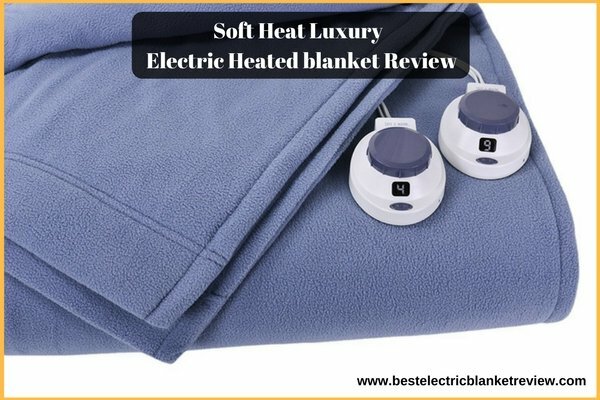 And the Soft Heat luxury micro-fleece low voltage electric blanket comes with standard temperature adjustments along with other advanced features. 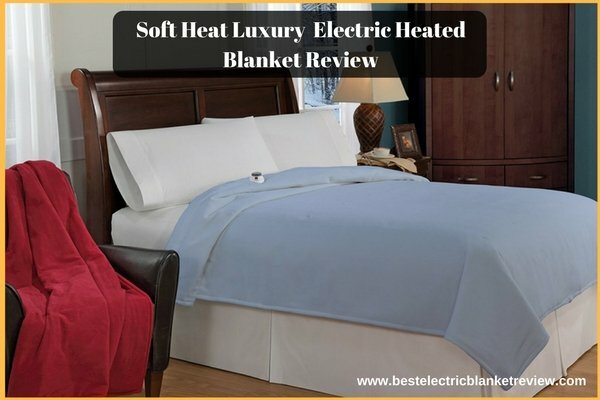 What’s Good About The Soft Heat Luxury Micro-Fleece, Low-Voltage Electric Blanket? The product provides you with a gentle and soft heat which is absolutely relaxing. Even at the highest temperature, it will not feel excessively hot so as to maintain utmost protection. The Electric blanket is absolutely kids and pets friendly. It comes with a 10-hour auto shut feature and has a non-slip structure. There is a backlit display enabled with an auto dim feature to ensure complete convenience even at night. This Soft Heat electric blanket has no uncomfortable and bulky wires. All you get is an ultra-thin and undetectable wiring mechanism. These are all placed within a 3-inches gap, unlike the traditional ones which come with a gap of 5-inches. So, all in all, it penetrates consistent warmth from your head to the toes. Its low voltage technology utilizes less than 25 volts. And you absolutely experience no hot or cold spots. The electric blanket makes use of less energy which again provides additional comfort and warmth along with affordability. Yes! The controllers get warm after a few hours of operation. The material feels cheap. And the overall built quality does not seem to look durable. At times, even a high pitched buzzing sound can be heard from the adaptor. Plus considering other similar products available in the market, even the price can pinch your pocket. With easy to use controls and powerful functioning, the Soft Heat Luxury Micro-Fleece electric blanket is great for someone who would prefer having a premium range winter heating product. It is comfortable, completely safe (even for kids and pets) and an easy to care for the product. The range could be expensive for some but it’s worth the investment. Read More About Best electric blanket comparison. With more than 85 years of an experience, Soft Heat has been producing some top-of-the-line electric heating solutions including mattress, throws, and blankets. Each of the products has some of the other variations that make them stand out from the rest. The company’s entire line works on low voltage technology system and the target market is high-end customers. Soft heat has a collection of several different fabrics. The assortment ranges from microfleece to plush and luxurious macro mink. Even the product assortment is just right to cater all your winter requirements.